Yesterday I had a chance to visit an online design client. She had won my online design giveaway and happened to be local! I don't typically get to visit my online clients, so this was a treat. 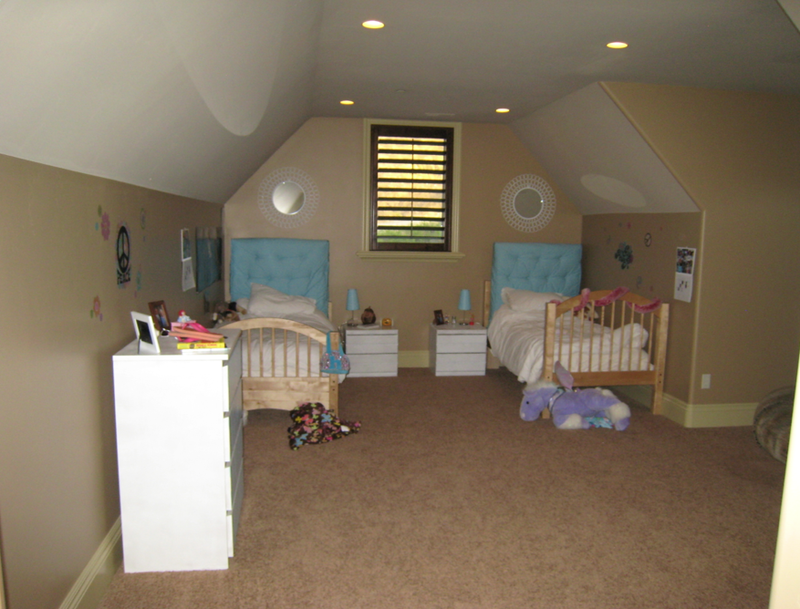 The room was for two girls, 10 & 12 years old. 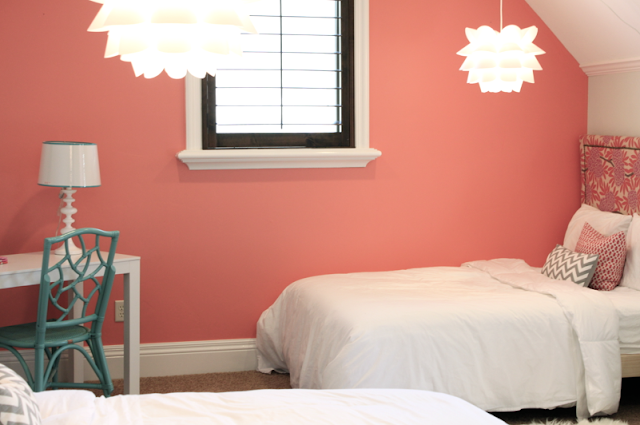 We wanted to create a space that would grow with them, but still be young and playful. The design evolved a lot from our original plan, but I love the way it turned out. I definitely can't take all the credit for this space, my client has great style and really ran with it! Painting the walls and baseboards transformed the room. It's amazing what a little contrast will do. 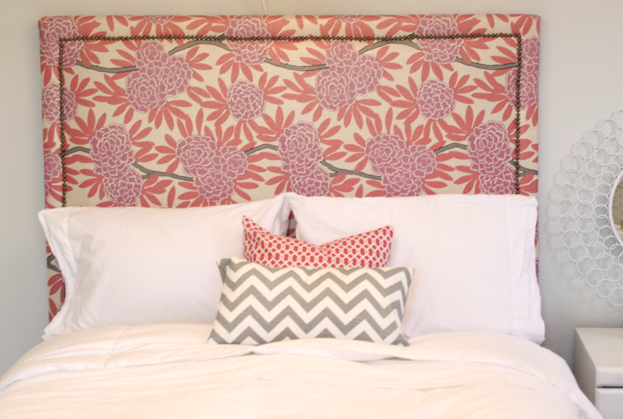 She made the headboards out of Caitlin Wilson's Berry Fleur Chinoise fabric. I think they turned out fantastic. I also adore those hanging lanterns! 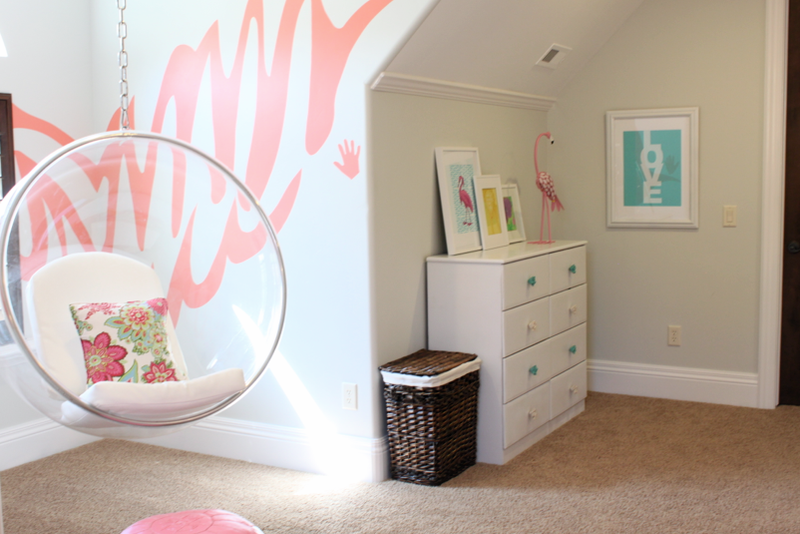 We were originally planning on a fun painted chevron in the reading nook, but the girls wanted to create a custom design including their handprints. I love that personal touch. 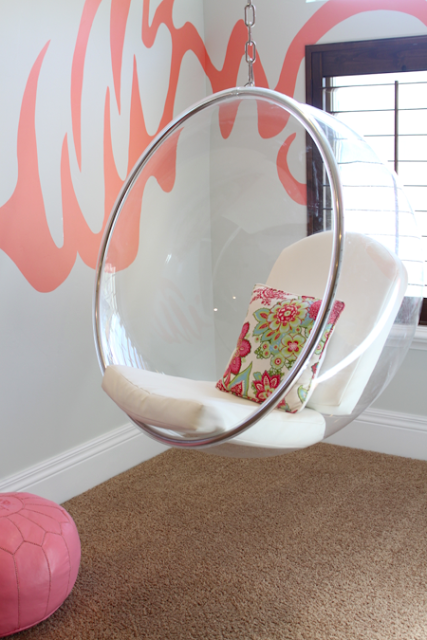 From what I hear, the hanging bubble chair is the girl's favorite spot, pretty sure it would be mine too.